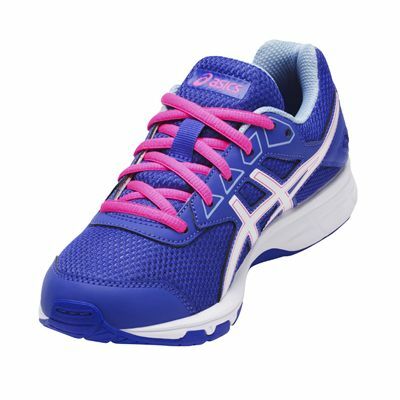 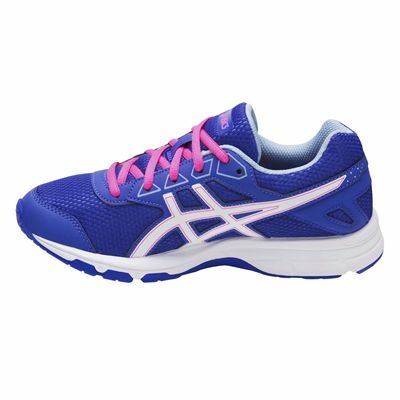 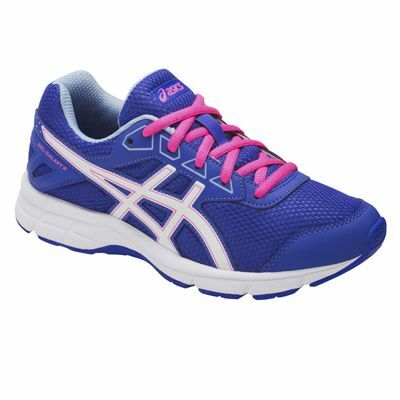 The Asics Gel-Galaxy 9 GS girls running shoes are stylish, sporty everyday trainers perfect for working out, as well as for having fun in the park or playground. 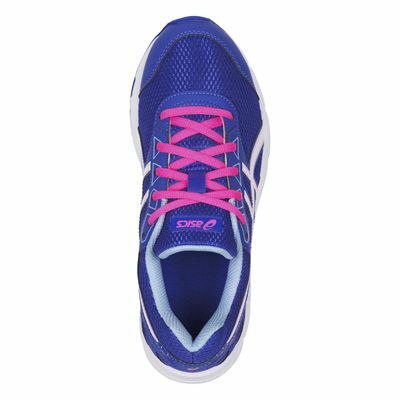 These lightweight (200g) neutral shoes feature a breathable open mesh upper for a fresh and cool feel and enhanced air flow and ensure a comfortable and stable fit thanks to California Slip Lasting technology. 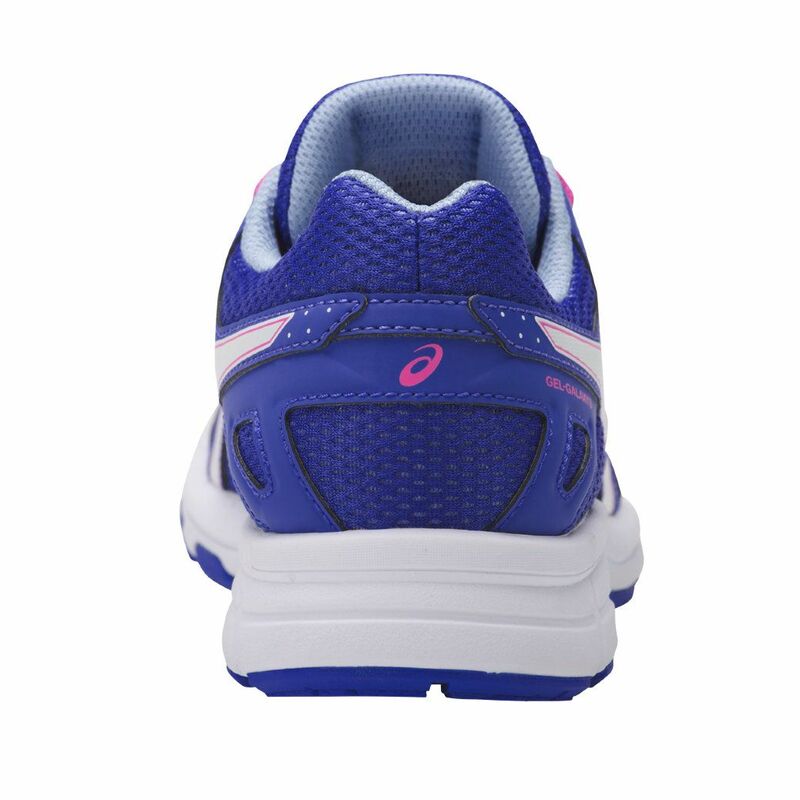 For cushioned comfort, there is a moulded EVA midsole with a removable sockliner and to attenuate shock during impact phase, the shoes offer Rearfoot GEL® Cushioning System. 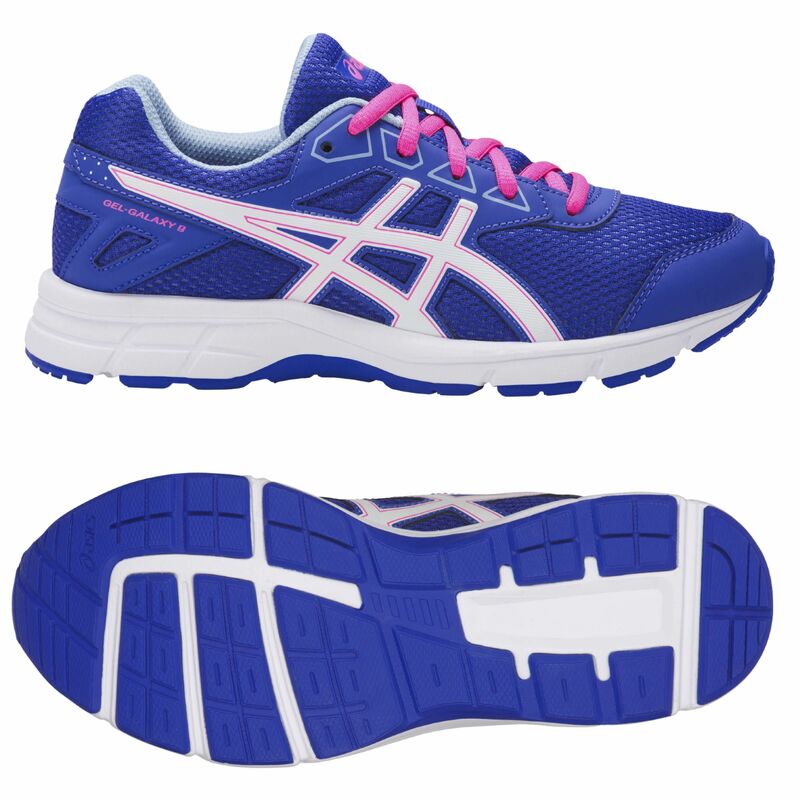 An outsole is made of durable rubber for a good grip and traction on various surfaces. 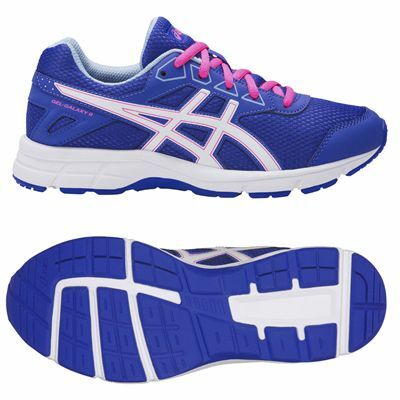 for submitting product review about Asics Gel-Galaxy 9 GS Girls Running Shoes.